Smarkets, one of the four betting exchanges and hot of the heals of coming 25th in the FT 1000 (of Europe’s growing companies) has placed 4th in the Deloitte Fast 50, based on a staggering revenue growth of 5,390% over the last four years. 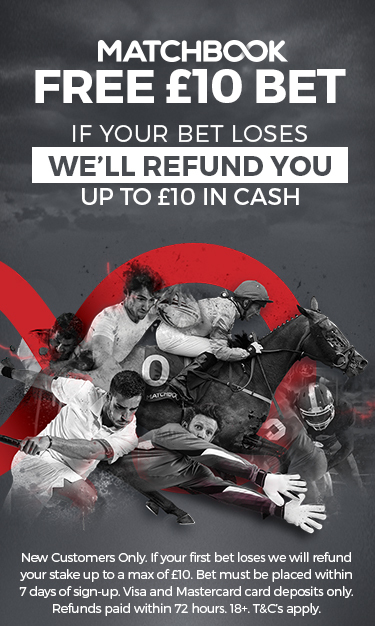 In case you haven’t used Smarkets or any betting exchange for that matter, the benefit is instead of betting against a traditional bookie setting odds like William Hill. Betting exchanges offer a peer to peer market place, or exchange for punters to set odds and those who disagree to lay odds. The process as a rule means that the odds are better than bookies, because individuals are by nature less risk averse than companies. 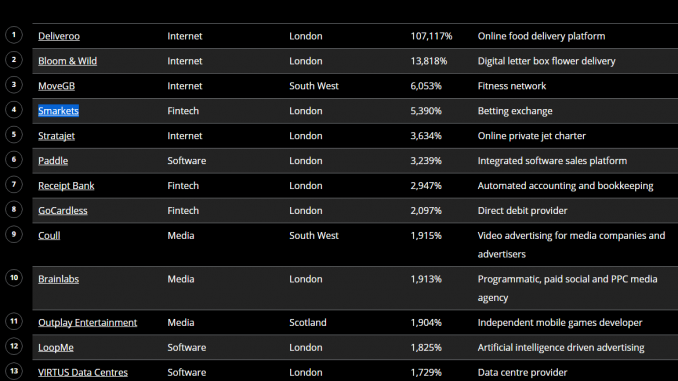 Scanning through the list of the Deloitte Fast 50, Smarkets are the only gambling company, although the main winners are highly scalable businesses such as Deliveroo, who connect hungry people with food, Bloom & Wilde, who send flowers and MoveGB, which connects people with gyms. Stratajet comes in 5th and connects people to private jet hire. Bit of a pattern here? Pick an industry, get a massive amount of funding, spend a little on tech, a lot on marketing, connect buyers with sellers and become the Uber of X.
Smarkets has won business consistently from larger betting exchanges such as Betfair and Betdaq, by offering discounted commission or another home for matched bettors. At the moment, Matchbook offers the lowest commission, but covers mainly American sports. As yet, no API connection to multiple betting exchange trading platforms like Stratabet, but hopefully that will be in the pipeline.